It’s important to have something outside of work for all of us, like a hobby or a side project. It keeps us sane; it keeps us creative. What you do after work doesn’t have to rely on your design skills either. However, today I’ve put together a list of amazing designers with fantastic design side projects. Some of them have been hugely successful and even bring in a decent amount of passive or side income. 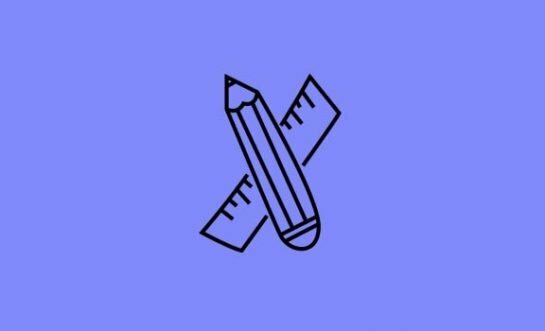 Use this article as you’d like, an inspiration to start your very own project, a list of quality resources to look through, or find new designers to know about. Davey Heuser is a Dutch designer who has worked on some fantastic projects professionally. He was the principal designer working on Sketch while at Awkward. However, in his spare time over the last few years, he and Curtis Hard developed IconJar. It’s a Mac app for organizing one’s icons. 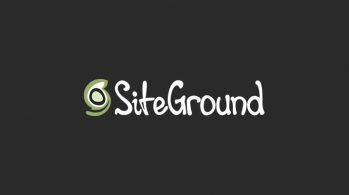 The app has been used by many amazing companies including, Google, Shopify and Microsoft. Dan Petty has been admired in the design industry for a long time now due to his creative design style. 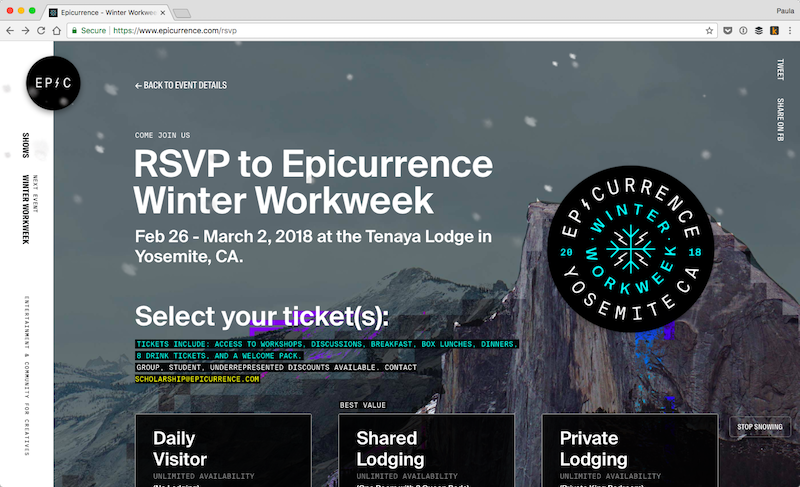 Over the last few years he’s been running a creative conference called Epicurrance. In 2017, he also launched a documentary series about successful freelancers called Freelance TV. Laura Kalbag is a British designer; she now lives in Sweden. She’s passionate about ethical design, inclusivity and accessibility. 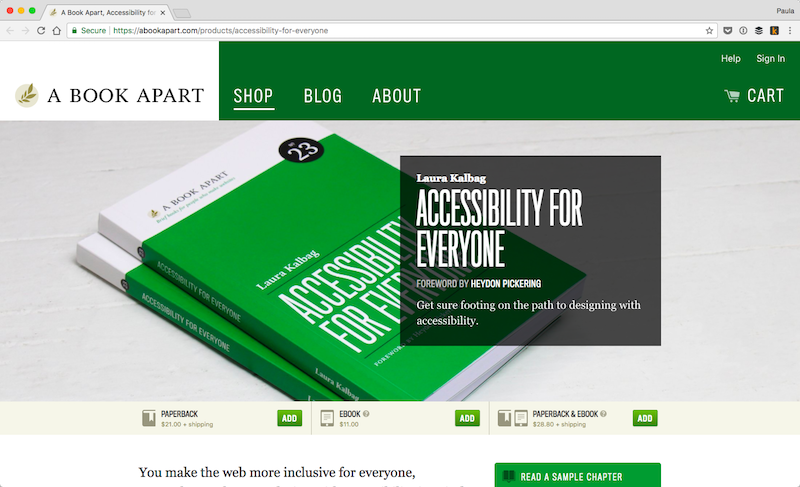 She partnered with A Book Part to write about implementing accessibility into one’s design process to design better experiences for everyone and anyone. The book is called Accessibility for Everyone. Frank Chimero is a NYC based designer. 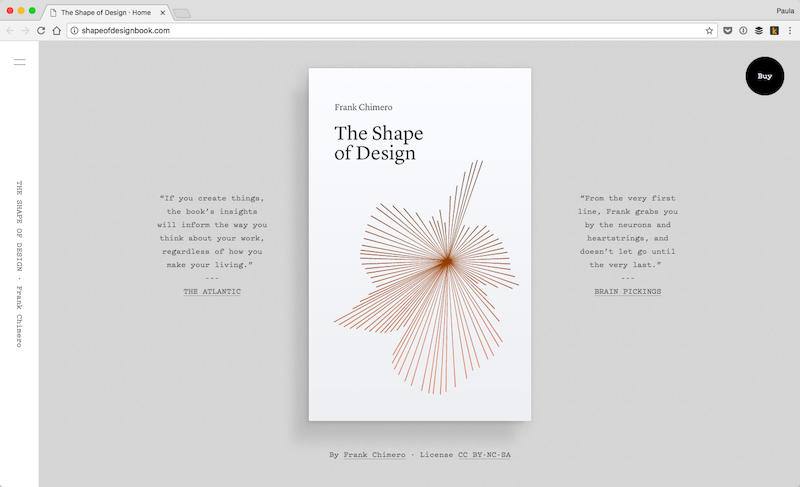 In 2011 he self-published a book called The Shape of Design. It’s a small handbook about designing for others that Frank Chimero wished was available to him when he started his own design career. The book receives content praise. It’s used in design teachings around the world. However, other industries, such as dancers and woodworkers, praise Frank Chimero on the book as well. Helen Tran is a Canadian designer based out of Toronto. She spent four years as a lead designer at Shopify. Although what I’m including here is a case study and not an actual side project, I think it’s worthy of a mention. 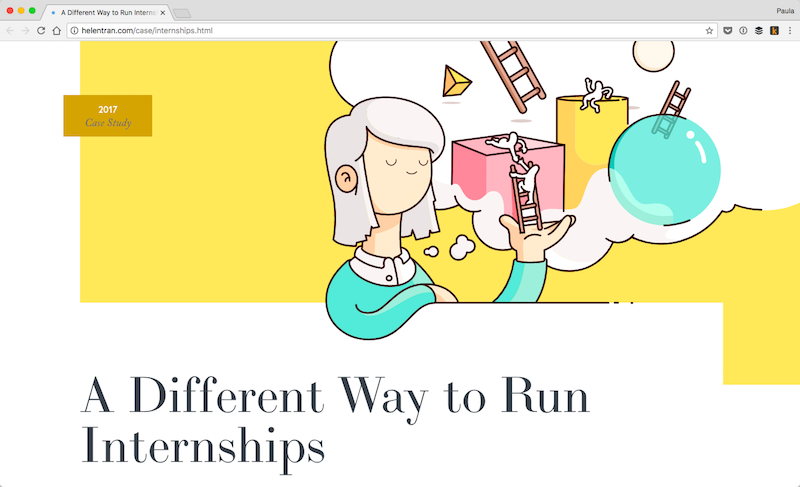 Helen Tran published a case study of how she managed the intern program at Shopify. It was holistic and thorough. Have a read through it. It will show you how a designer approaches the problem of training new professionals in a more wholesome and successful manner, aka management. Paul Jarvis is a freelance designer from Vancouver, Canada. He’s spent over 20 years now freelancing. He has so many side projects going on. He has a weekly newsletter, the Sunday Dispatch. 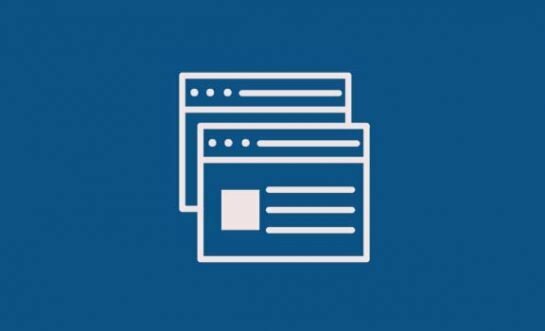 He’s published multiple books as well as numerous self-paced courses such as Creative Class – it teaches how to become a pro freelancer – and Chimp Essentials – it explains how to use MailChimp effectively. Julie Zhuo is a VP of Design at Facebook. Over the last couple of years, she gained a lot of momentum among the design community for her writing. 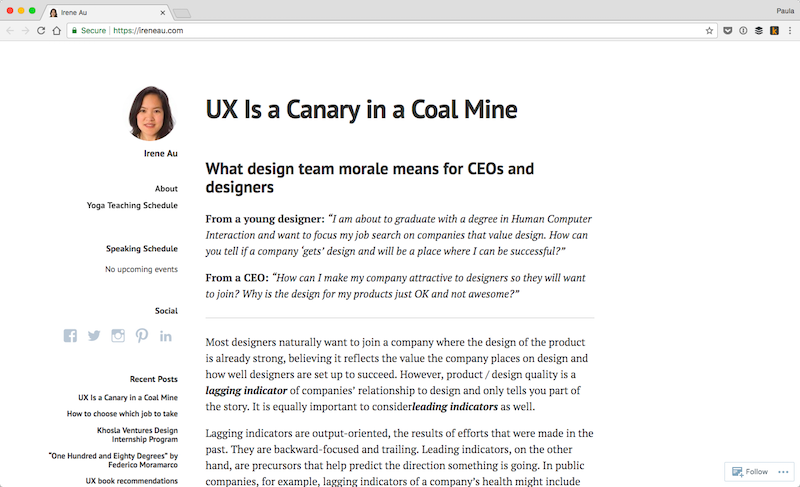 For a long time now, she’s been writing weekly essays about design, how to build great products or how to solve problems. As of this writing, she has managed to gain almost 200,000 followers on Medium. Her mailing list is called the Looking Glass and bring you well thought out articles weekly. 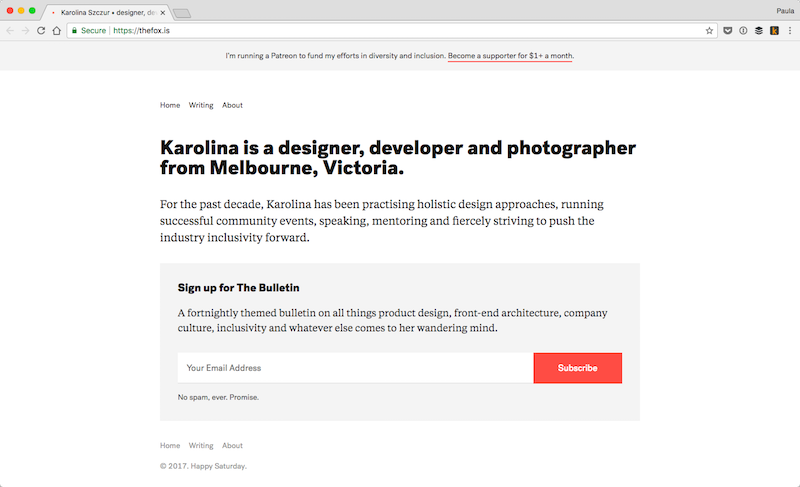 Karolina Szczur is a Polish designer and developer, currently living in Melbourne, Australia. Over the last couple of years, Karolina Szczur has been involved in running developer conferences. Organizing conferences led her to work towards a more inclusive and accessible conference environment. For example, she speaks out against harmful codes of conducts, and conferences which ignore their codes of conducts while preaching diversity. Her writings on this topics is very enlightening to the state of diversity in tech and conferences. Irene Au is a Palo Alto based designer. She’s currently an operating partner at Khosla Ventures where she helps companies improve their design teams. Her professional mission is to help companies grow through the power of well-implemented design processes and teams. She is a well-respected designer who led many great teams at companies such as Google and Yahoo. She constantly writes about that on her own website and given multiple talks on the topic as well. Here is her talk “How to be a CEO who cares about design”. Nguyen Le is an independent designer from Melbourne, Australia. 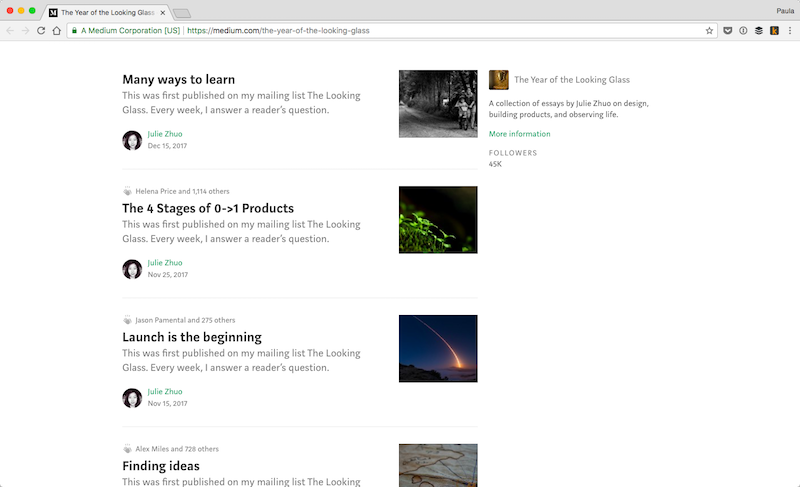 Besides having a very amazing and creative design style, Nguyen Le runs an online class. In Process Masterclass, he teaches young or new designers how to improve their skills, provide more excellent value to their clients or employers, creating reliable design processes – among other things. His course has been well received and well praised by many of his students. Floris Dekker created Little Big Details. He’s a Dutch designer now living in NYC and working for Etsy. 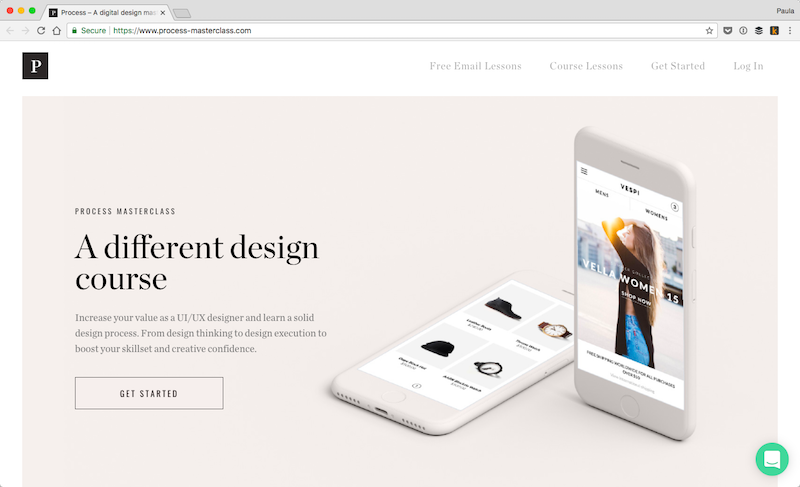 It’s a website with curated submissions of design details. He believes that details are what make, or break, a successful design. 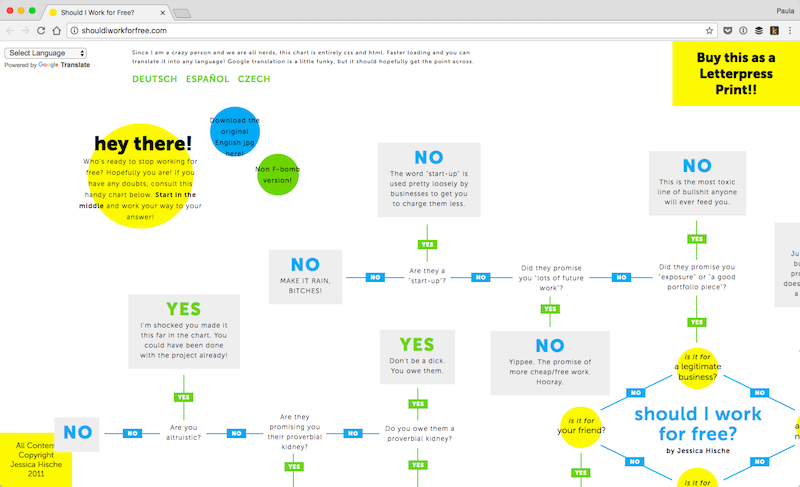 He created this site to share good examples with others. Although he runs the website, anyone can submit a detail to be shared. 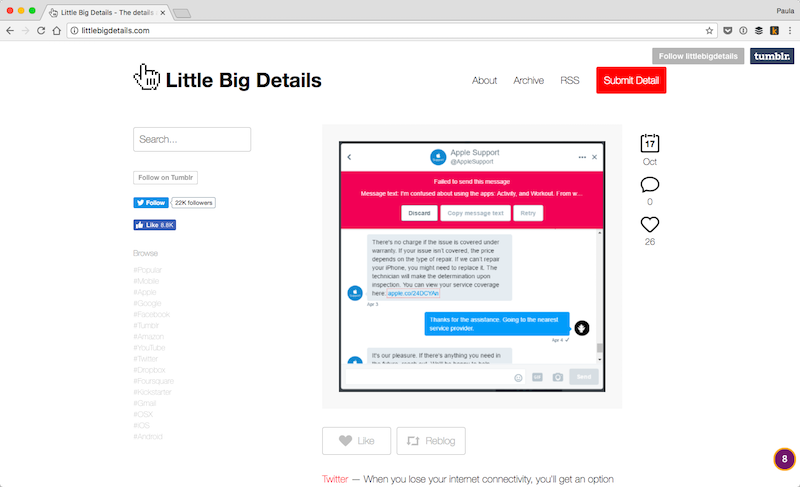 Little Big Details is updated daily. Lauren Hom is a designer and letterer. She’s worked with many big-name companies such as Starbucks or Google. She won many awards too. 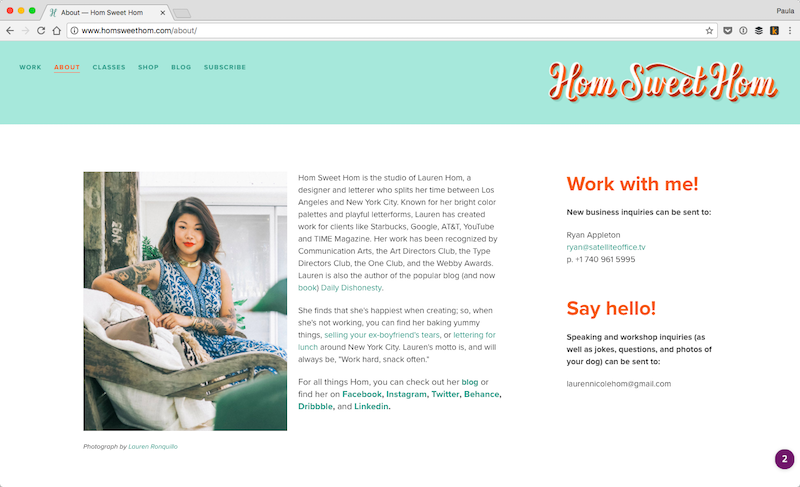 Lauren Hom holds online classes, writes on her blog and even runs an online shop. Some of her courses include teaching people to get paid for their work, improve your lettering skills (via Skillshare) and how to come up with your next big idea. Nicole Saidy is a digital designer from Beirut. Currently, she’s a Digital nomad though. Nicole Saidy’s mission is to inspire people about design. To help her achieve this mission, she teaches design. She was a mentor in Le Wagon and Rookie Up, she blogs, gives many talks at conferences and meetup too. Currently, Nicole Saidy creating an online course too. Chandan Mishra is a designer from Pune, India. Along with Varun Srinivas, Chandan Mishra created Design Languages. 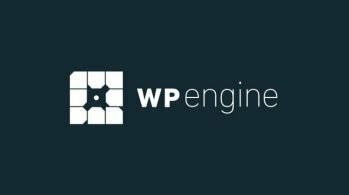 It’s a curated list of design languages and systems from various companies. Some of the designs come from Ubuntu, Apple, Atlassian, BBC, Walmart, Airbnb and so on. 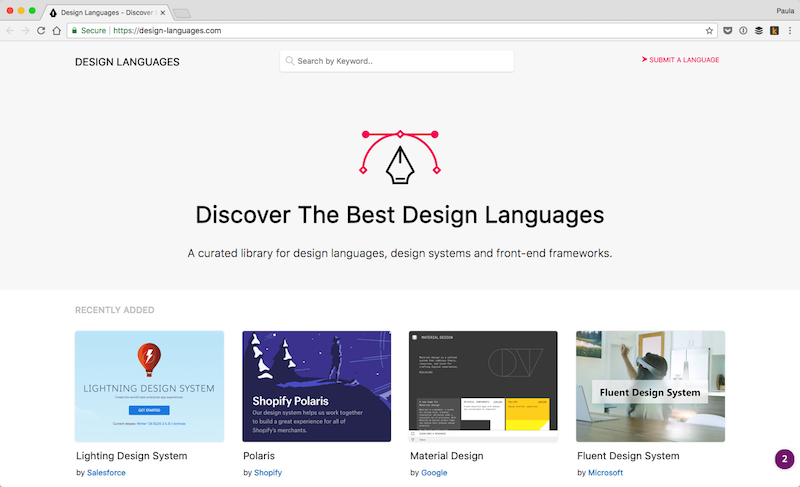 It’s a fantastic resource for those wanting to learn more about creating design systems or peeking at the design libraries from other brands. Christopher Simmons runs a design studio in San Francisco. 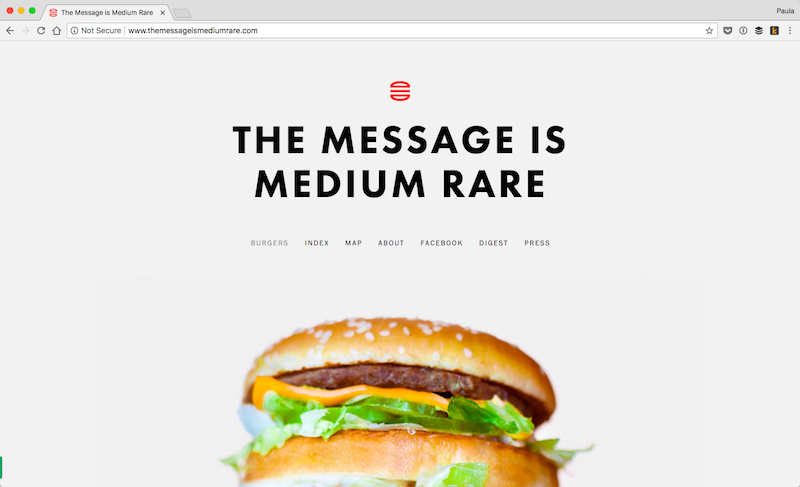 He came up with a creative idea, which is to share lessons from a burger he eats; he eats them once a week and writes a blog post about it on The Message is Medium Rare. 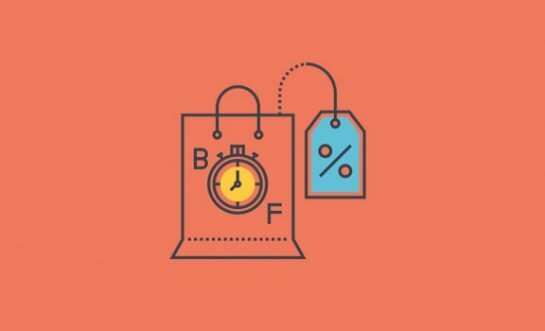 This peculiar blog has gotten a lot of press from 99% Invisible to Fast Company. The lessons range in topics from how war is terrible to why one’s work is never truly over. AJ, a Nashville, TN based designer, created Carrd. 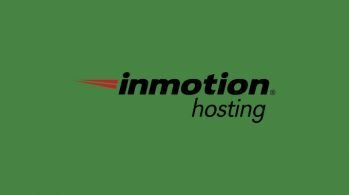 It’s an entirely free online platform for building single page websites. You can create anything you need, a landing page, a portfolio, a contact/signup from. 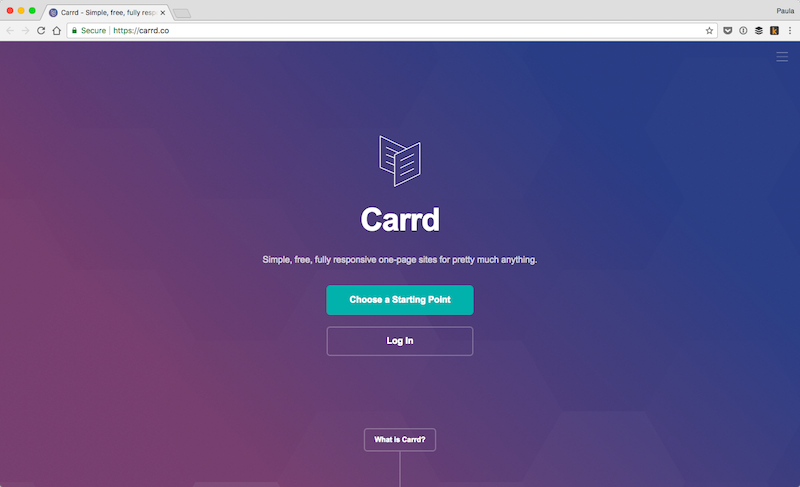 Carrd is a precoded platform where you only customize the visual design. It’s also responsive which is pretty great. Aj’s portfolio was made with Carrd, naturally. 17. Jessica Hische – Should I Work For Free? Jessica Hische is an extraordinary letterer. I first heard about her when she published a detailed chart to answer the age-old question: Should I Work For Free? In most cases, it’s not an easy question to directly answer yes or no. Jessica Hische’s chart helps you find the answer. 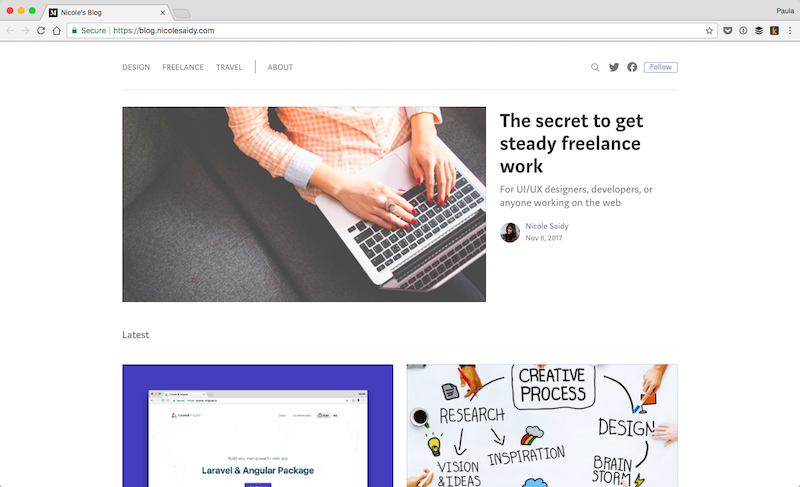 She spends a lot of time writing on her blog and giving talks about design, teaching others how to improve one’s skills or professionalism and about art and life in general. She even runs an online store where she sells prints, cards, pins and her own custom fonts. I’ve admitted all of these designers for a long time now. 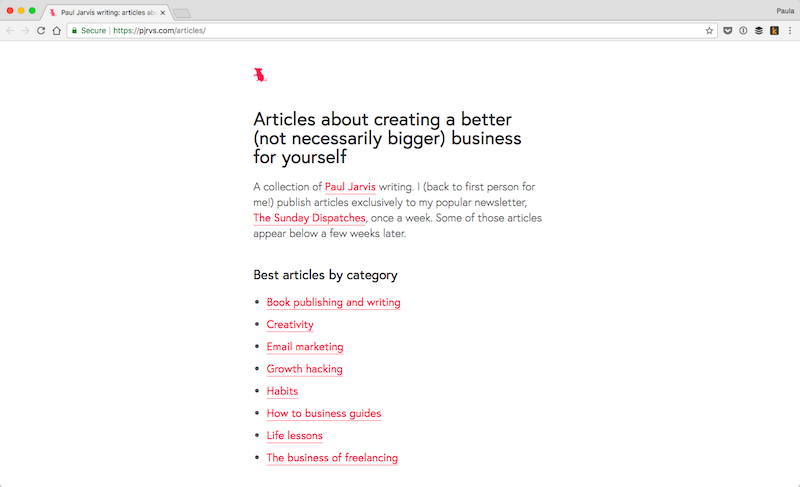 Most of them spend their time creating content or tools that help others through simple side projects. How about you? Do you have a side project you’re working on? Tell us what is it and share a link in the comments.